Schooling The Rulers: Who’s Responsibility Is It? There’s a grave danger in imagining that the new cabinet and their deputies understand even the notion of good governance. In fact many of them have openly mocked the very idea of Yahapalanaya not so very long ago. Even for some of the others, who have now got on the Yahapalana bandwagon, the idea of actually being accountable to those below them (leave alone being their servant or slave) would be quite alien. It has been the common experience of many people I’ve spoken to after January 8th, that changing the top in the country or any organization doesn’t automatically change the prevailing culture of governance. That culture has been nurtured over many decades but perfected during the last one to be one where dishonest gain in the guise of serving the public was the primary aim. It is primarily a culture based on patronage. If one is good with their boss, the boss would look after them; else one would be penalized. It has seeped into all corners of the government and even spilled over to the non-government and private sectors of the country. Changing the leader only makes those below seek to please the new boss in the same old ways – to put it plainly, by sucking up to them. This is what led to the emperors new clothes syndrome which finally led to the downfall of the emperor. In this respect, it is refreshing to see the new President epitomize the very notion of servant-leadership. Welcoming the critiques of his style of leadership (being called spineless and indecisive) he has set an excellent example in humility. Unfortunately, owing to the extreme conditions he faced within his own party, he has had to tarnish this exemplary behaviour with some extreme decisions within the party. The most glaring example of this was in the names he included through the SLFP national list: who could hardly be called his supporters – they were just those who ridiculed him a little less than the others! What this article is about however, is the cabinet and the rest of the state and deputy ministers who are really going to run the show (that is unless we change this notion altogether). It is one thing to demand a proportion of the portfolios in a national government, but it is quite another to fill them it appears – another dilemma that the President had to face this week. 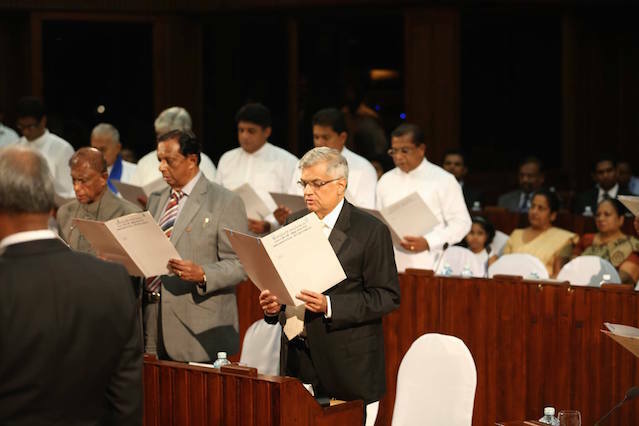 The result: a set of bad eggs from his party being accommodated in the cabinet, while some competent MPs from the UNP being relegated to deputy or state ministers. For its part, the UNP also appears to have stuck to the status quo, and accommodated loyal seniors in preference to those who should have been accommodated if merit was the basis (with a few minor exceptions). To return to the question of who should educate the new cabinet and other ministers in the ways of good governance, the primary responsibility surely lies with the two party leaders who nominated these MPs for high office. Firstly, several of those in the SLFP camp are already being investigated (e.g. the petroleum case). Others maybe investigated in the future. What guarantee do the people have that elevating them to this office will not inhibit the law enforcement bodies from carrying out their duties? After all, obstructing justice (especially to safeguard themselves) has been their staple diet over the past 10 years. 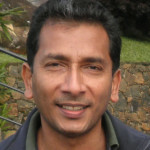 While this primarily affects the SLFP, the Prime Minister as UNP party leader will also be responsible for some of the status quo appointments he has made to cabinet. Can we then leave the task of schooling the new ministers in the hands of the party leaders alone? Absolutely not! In a most welcome move, the President has announced that appointments to state bodies will be made by a committee – hopefully of eminent and non-partisan individuals. So, the second line of defense against errant ministers goes to the heads of such bodies so appointed. We, the civil society will have our eyes trained on you! It’d do you well to reflect each morning on what happened to those who took up such positions in the last regime, and be accountable to the people and not your political master (who is often under the illusion that they are serving the people). A dose of Yes Minister would be highly desirable before you start! Just as the President has set an example of servant-leadership, so too must you try to emulate him in this respect. Do we stop with the heads of government institutions? No, we also need to hold the next layer – the bureaucracy to account. 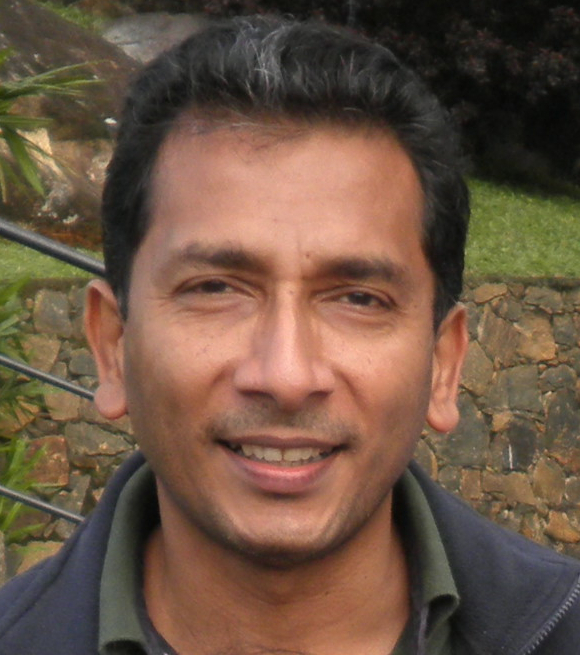 Most people lament at the deterioration of the civil service in Sri Lanka. However, we all know that each state institution has a small set of dedicated people who have mostly been sidelined for not following their masters’ orders – who understand the idea of accountability. Accountability to the people – not the politicians who claim to represent them. We hope that the new moves by the President to promote those with more experience will also leave room to recognize competence and integrity even above seniority – in particular, that seniors schooled in the old ways would either be reformed or replaced! One layer down, it is important that bureaucrats heading state organizations should rally around them pockets of good practice: those few remaining government servants who understand the crucial importance of good governance at every level of their organizations. That they are meant to serve the people and not to please their heads or politicians. Any promotions based on patronage should be declined and reported. A most significant group of these government servants, in the cause of maintaining good governance, are the Police and the Armed Forces whose dignity has been restored even during the past 6 months. The final defense against the potential highjacking of the Yahapalana cause (or more likely its gradual decay into the former ways), is us the civil society. Unlike ever before in our history, we have been empowered – thanks to some tireless individuals and activist groups and the spread of technology which enables every citizen to be an amateur journalist. We need to be enlisted as foot-soldiers in the army of the media – a media which has more freedom than ever before. We need to get out of our old habit of electing our representatives and hoping they’d govern well – till we get our next chance in 5 years’ time. No, we cannot absolve ourselves from the duty of ensuring good governance. We need to be alert. We need to know what to look for. And we need to know how and whom to report bad governance. And how to act in the face of blatant bad governance. Let’s hope that Sri Lanka can earn the respect of nations around the world by making our high literacy and education levels count, to make us a mature democracy based on the virtues of openness, equity and the rule of law. This is more of a hopeful dream for me than real. The size of this jumbo Cabinet killed all my confidence as to whether the duo at the top have a good grip on the handle. With their combined power I would have expected them to ruthlessly cull out the bad apples and appoint efficient formidable and suitably educated men and women in to the cabinet to rapidly turn around the administration in to an efficient and tight unit. With this current cabinet they cannot get anywhere as the rotten administration will continue to thrive just as in the last 20 years. Having committees to check them is just another layer of costly and wasteful inefficient bureaucracy. Having a cabinet minister for” National Dialogue”! My foot! Therefore don’t hold your breath! RE: Schooling The Rulers: Who’s Responsibility Is It? 43% of the MPs have not passed the GCE OL. Wimal Weerawansa, aka Wimal Buruwansa, of 2/2 =0, fame got 300,000 preferential votes from the Colombo district. almost 30% of the voters who voted. Conclusion: Schooling The Rulers and Voters: Who’s Responsibility Is It? The average IQ of Sri Lanka is around 79. Those Modayas, Mootals and Fools who voted for Wimal Modawansa is around 65. The average IQ of Singapore 108. Sri Lanka claims to have 96% literacy rate. What is the literacy rate of trained parrots? Does Wimal Modawansa or his followers know that? I think only force to school the rulers are the nation in developed world. But an island nation whose every 2nd is claimed to be bearing a gene supporting to BE INDIFFERENT- can NOT train the rulers to the very same man the first world people would do. Looking at the election results of the recently held one – Buruwanse and Dayasiri, Mahindananada or the like to have obtained more votes than some distinghushalbe politicians like Rosy Senanayake or several in JVP that worked diehard without wanting anyhting but the progress of the own people- I feelwe thought should follow the systems being applied on the civlized western socities, but our people in general are not yet reached to the levels to be called as civilized by every means. Just claiming higher social indicators such as the higher literacy rates – you cantexpect them to be considered as overall good thinkers. This we can judge by talking to even locally produced graduates today. I trully believe, subject wise they are knowledgable but their common sense for expect few are far from those of the western countries. So it is wrong to compare the systems as being done again and again. I always felt this Yahapalanaya hype was just a PR campaign that used innocent peoples good intentions for political gains. Even I was surprised at the political Titanics that followed in the 100 days. I hope the people of this country will realize what is going on. Reducing corruption will take time, so will cleaning up – but in meantime, why not educate the parliament on good governance, I mean Parliament could start with a slide show on good governance – in all three languages, and everyone should be restrained from laughing. We could also have a daily Yahapalanaya show, with regular guests – RW, MR, WW, there is not shortage of personalities. Don’t forget former chief justices and central bank governors as well. is this what is happening now difficult to tell.